Since its publication Yogini of Hirapur Oracle is gathering women from different parts of the world. 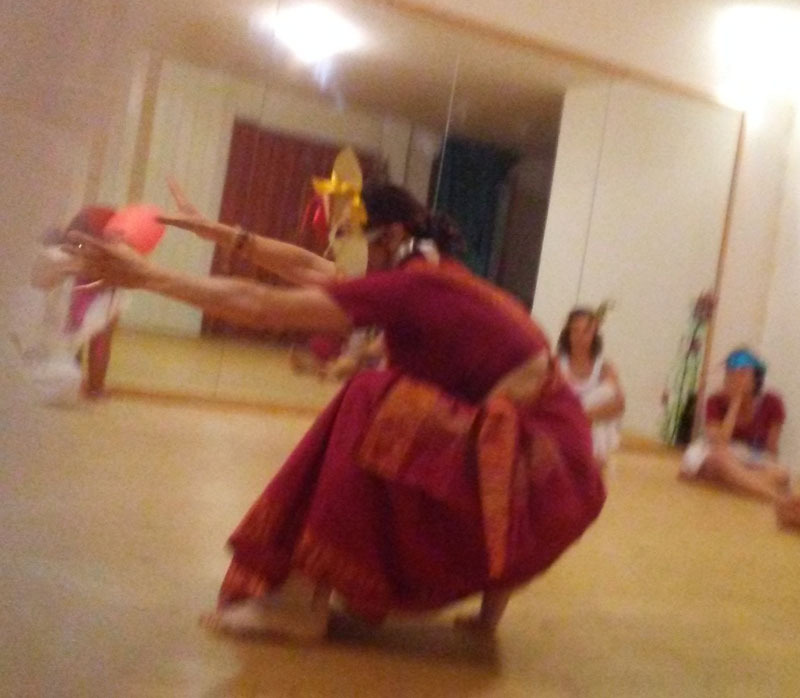 The Yogini of Hirapur Oracle by my Italian student, Luisa Spagna, is spectacular! 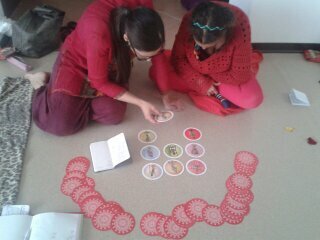 It is a set of oracle cards, round like the Motherpeace, crafted after the round cards of India where Luisa has studied and investigated the remarkable Yogini Temple at Hirapur (in Orissa) for several years. Even before that, she studied the classical dances of India, performing and sharing her gifts in a variety of ways over many years. 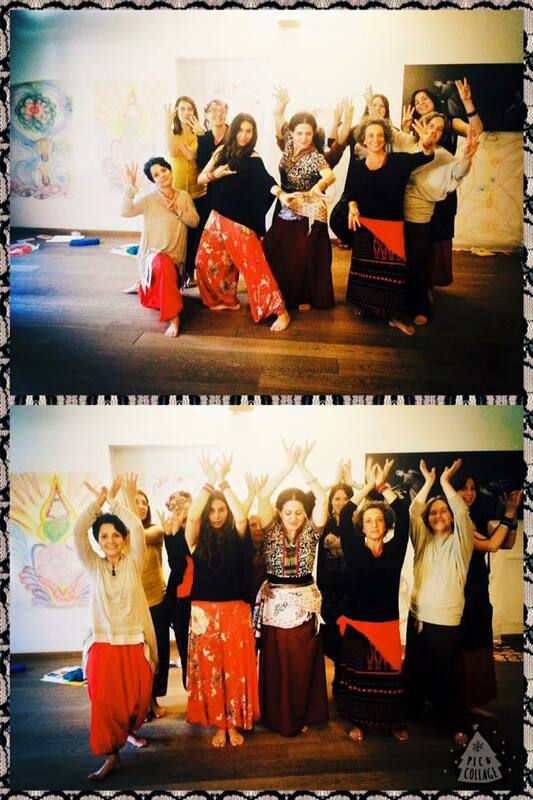 In the Dakini courses that I have taught in Italy for the last ten years, Luisa has created a set of simple, beautiful mudras to accompany the invocations I created as my adaptation from Tibetan Buddhist practices. The Yogini Temple at Hirapur is a kind of prototype for the Yogini Temples in general. They were built sometime between the 8th and 11th centuries (same time that Tibetan Buddhism was taking root in Tibet). Most (but not all) of them round, with sculptures of Yoginis in niches around the inner walls of the temples. Only at Hirapur are the Yogini sculptures still all there; in other temples the statues have been removed, some taken to museums, others lost. Each Yogini sculpture is unique, with a style of her own and an animal “mount” on which she stands. Many of them have been defaced or mutilated in some way and Luisa has made it part of her calling to restore them to wholeness through her artistic renderings, replacing missing arms or hands and so on. In the deck of cards, the Yoginis appear whole and very much alive. Through her meditative states, she has channeled information and oracular messages to go with each of these ancient Goddesses. I use the Oracle and find it to be spot on. The messages are simple and straight forward, advising the reader in the immediate moment, much like the Motherpeace cards. Female-centered and Goddess-focused, they provide a living ritual process for contemporary women (and their male allies). I recommend that you order this deck and use it daily, thereby learning about the amazing Hirapur Temple in Orissa and the secret Yogini tradition of twelve hundred years ago. The first thing that I liked when I received the cards were the size and the format. 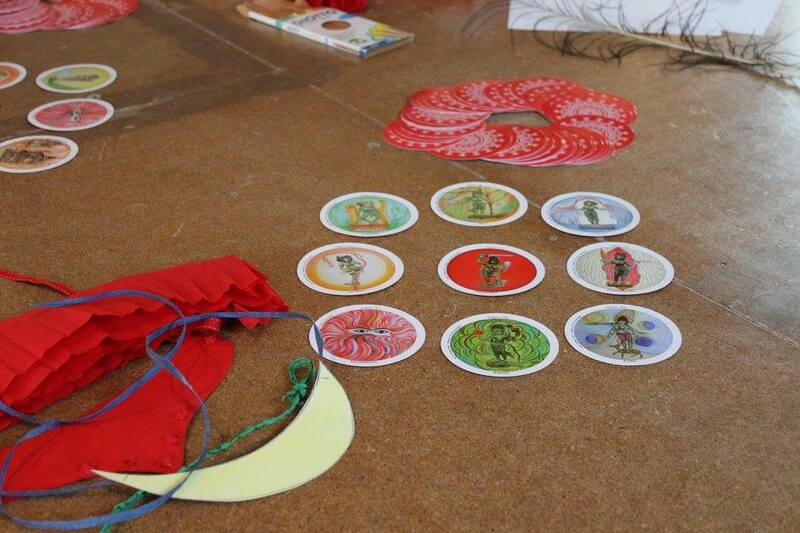 I loved the idea of circular cards, and they were very practical to shuffle. This design also was in tune with the circle of yoginis and the temple. I found Luisa’s drawings very delicate, with beautiful curves and symbols. I liked the way Luisa reconstructed the missing limbs from what is left of the Yoginis. 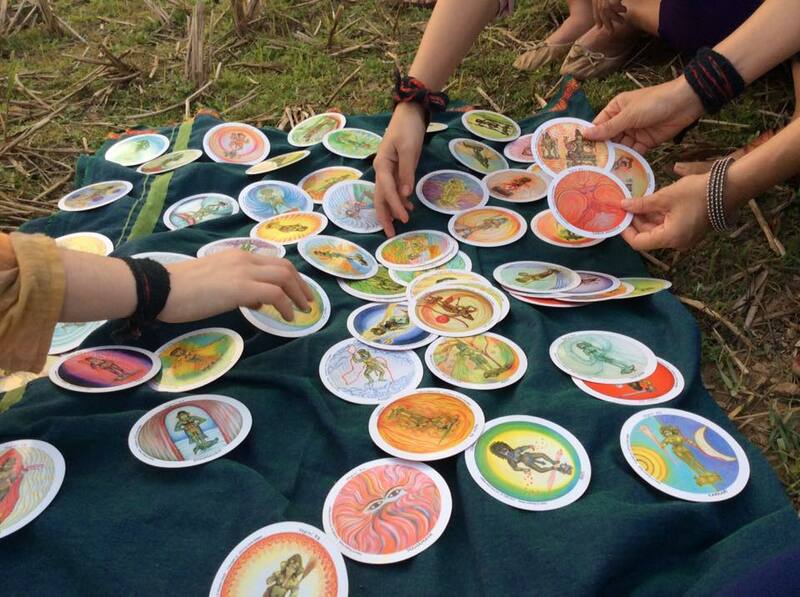 I was very surprised that from the first draw, the cards seemed to answer very clearly my questions, and since then they have done so.. I do not use them frequently, but when I do, there’s a kind of magic taking place, and the message(s) given by the Yoginis seem so appropriate and acutely correct. It is a very nice deck that I would definitely recommend to others. […] Mi piace che queste carte siano rosse e rotonde, danno una grande allegria, e i disegni delle yogini sono molto fantasiosi e vissuti”. 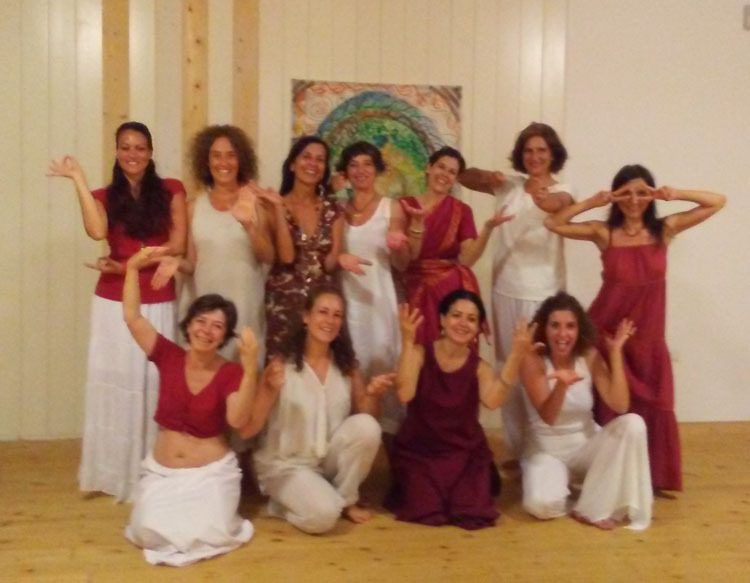 L’Oracolo delle Yogini” di Luisa Spagna, sono le mie compagne in questo viaggio tra terra e cielo. 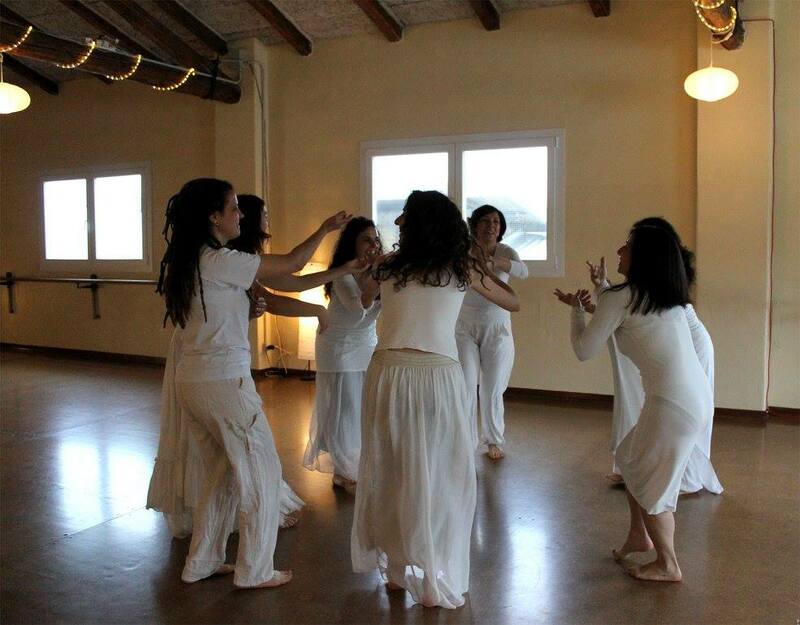 Luisa Spagna danza insieme alle sue Yogini la vacuità e l’unione, la creazione e la dissoluzione, la Dea e anche il Dio, facendoci avvicinare alla nostra parte più autentica, alla nostra parte divina, sacra….è un cammino lento, profondo,inarrestabile……. 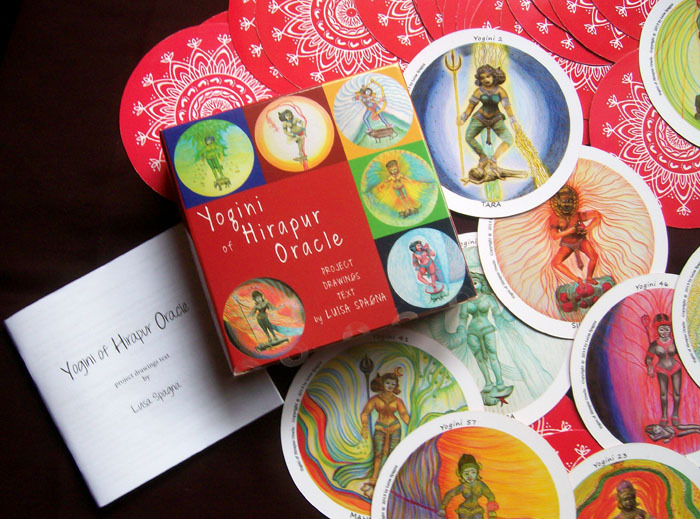 The Yogini Oracle of Hirapur by Luisa Spagna is an amazing offering of bhakti. 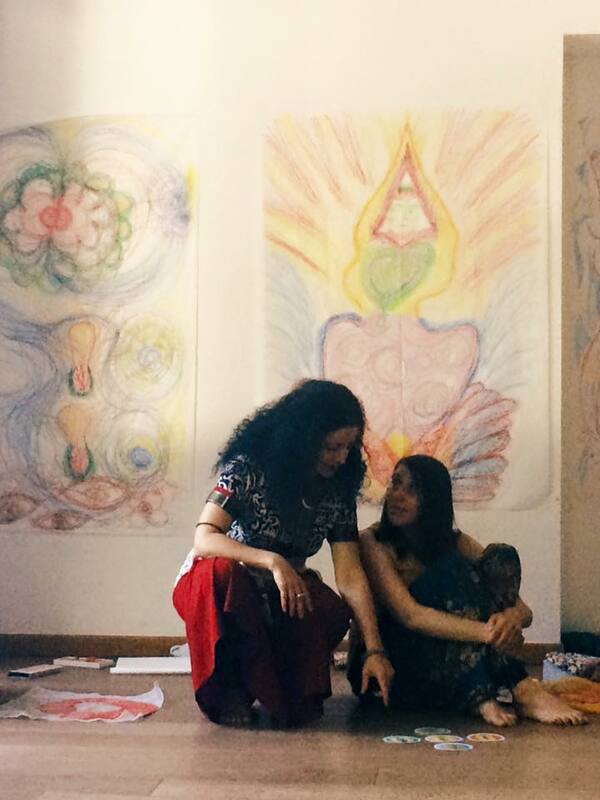 I am awed by how beautiful her renditions of these sacred yoginis are – the artwork takes my breath away! It is truly a work of deep love and inspiration for Mahadevi. Sadly, I have never had the opportunity to make pilgrimage to Hirapur, but Luisa’s special gift has brought Hirapur to me, and I treasure and honor the energy that is contained in it. Thank you, Luisa! Tutte le mattine mi fanno compagnia. Sono carte stupende che stimolano molto il mio lato femminile. Grazie Luisa Spagna per la tua genialità. Le Yogini di Hirapur per me sono come un terma nascosto in quel tempio e svelato a noi da una terton speciale. 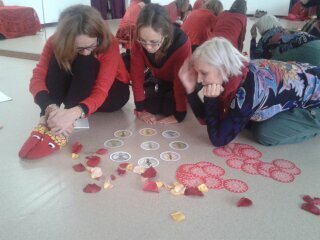 Grazie alle Carte Oracolari sto riuscendo a entrare più facilmente nella meditazione-conoscenza delle Dakini. Come se una Dakini Speciale avesse nascosto nelle statue del tempio un Dharma prezioso. 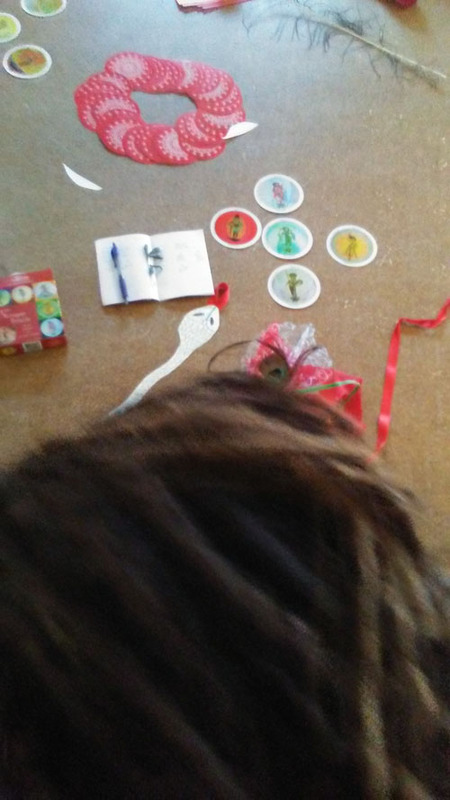 Grazie Luisa di avercelo mostrato! Grazie del dono!